Description - Cycle the New River Bike Trail and enjoy the New River! This beautiful log home overlooks the New River Trail (at mile post 12.6), an incredibly beautiful 57 mile bike trail traversing three major bridges and 30 smaller bridges and trestles. You have direct access to the trail and are less than .5 mile away from a public boat dock in a gorgeous section of the New River with direct access to Claytor Lake. Relax on the porch with a panoramic view of the New River and the village of Allisonia in historic Pulaski County, Virginia. This home sleeps six comfortably. 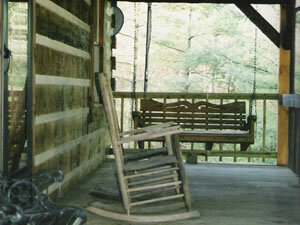 This charming, cozy cabin is nestled in the mountains of Pulaski County, Virginia and sleeps six comfortably. Enjoy the glory of the Blue Ridge less than two miles from the New River Trail (mile post 12.6), an incredibly beautiful 57 mile bike trail traversing three major bridges and 30 smaller bridges and trestles. 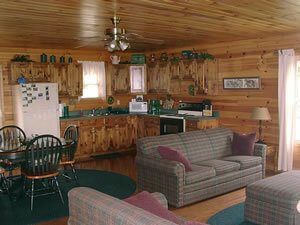 This cabin is also less than two miles from a public boat dock in a gorgeous section of the New River with direct access to Claytor Lake. Cycle the New River Bike Trail and enjoy the New River! This delightful cottage is nestled in the mountains of Pulaski County, Virginia and sleeps seven comfortably. 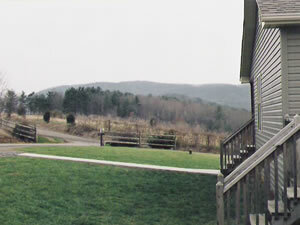 Enjoy gorgeous views of the Blue Ridge Mountains from the front porch! This cottage is only 800 yards from the New River Trail (mile post 12.6), an incredibly beautiful 57 mile bike trail traversing three major bridges and 30 smaller bridges and trestles. 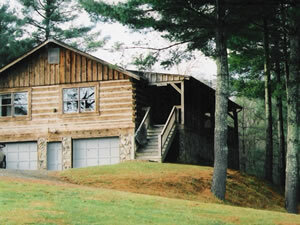 This cabin is also less than a mile from a public boat dock in a gorgeous section of the New River with direct access to Claytor Lake.